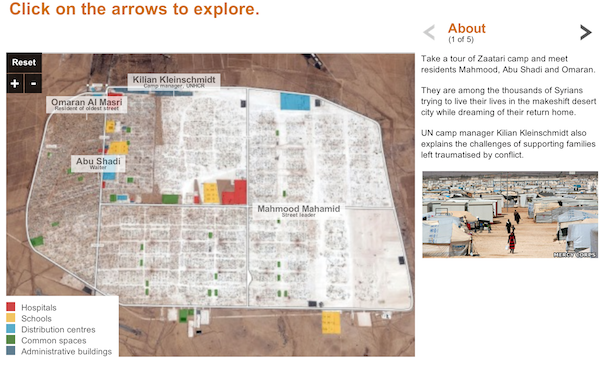 Image-zooming, interactive birds-eye-view of the Zaatari refugee camp, using the OpenSeadragon library. Users navigate through the panel controls on the right. Also developed for BBC World Service, which required layout changes and considerations for right-to-left languages.